Regular readers will know I love a good drugstore dupe. 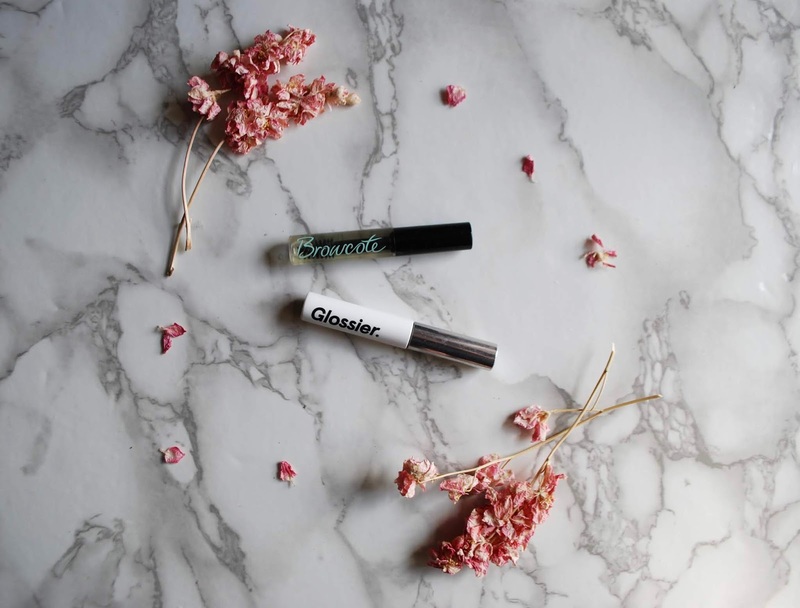 What's better than a good drugstore dupe, you ask? An EPIC drugstore dupe, dear readers. And that's what I have found for you. 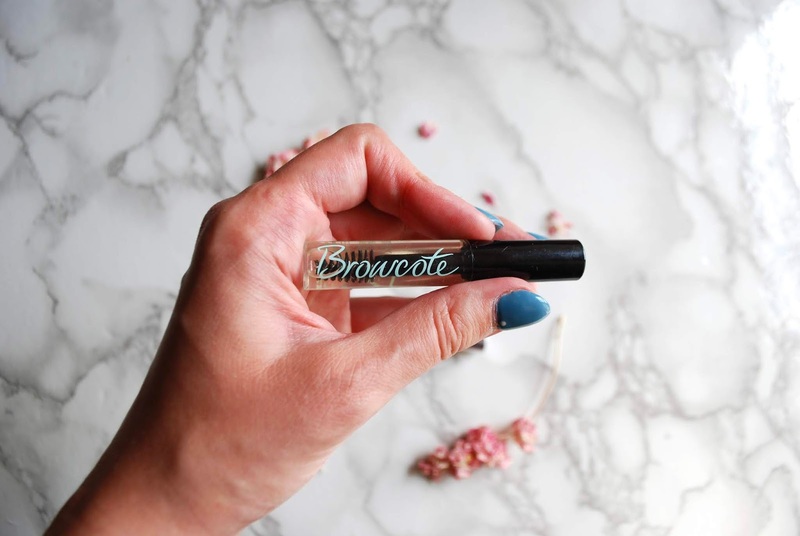 Browcote* is intended to set your brows and to lock-in any other brow products that you've used--whether that be pencil, stain, powder, what have you. My number one concern with brow products is always: will this product set my crazy, unruly, mind-of-their-own brows in place? To date, only two had managed to accomplish that feat: Glossier Boy Brow and Hourglass Arch Brow Volumizing Fiber Gel. The only problem is that boy of those have a rather heft price tag for a rather tiny tube. I'd pretty much given up on finding a drugstore dupe, as all the drugstore brow products loved by other bloggers had failed to tame the eyebrow menace. When I was sent Browcote to try, I was admittedly dubious, given the fact that a) my two fave brow products were high-end and b) I just didn't trust that a drugstore product could get my curly brow hairs to actually stay in place for more than half an hour. Lo and behold, Browcote is a freakin' gem. Not only does it provide incredible lasting power, managing to keep my brows in place as well as and often better than the Glossier Boy Brow, it only costs £6.99. I'm also pleased to report that Browcote doesn't leave that nasty crunchy feeling in your brow hairs, either. Nope, you've just got fluffy, volumized, controlled brows for the whole day. Have you guys tried Browcote? What are your fave brow products?